Bobby Lee Rush was born in Albany, Georgia on November 23, 1946. He graduated from Marshall High School in that city at the age of seventeen and soon afterwards enlisted in the United States Army. Rush served in the Army from 1963 to 1968 when he was honorably discharged. Rush relocated in Chicago where he attended Roosevelt University. He received a B.A. degree with honors in 1973. Twenty-one years later (1994) he received a master’s degree in political science from the University of Illinois at Chicago. In 1998 Rush received a second master’s degree in theological studies from McCormick Seminary and soon afterwards became an ordained Baptist minister. While in college Rush became a political activist and soon devoted himself to Chicago’s civil rights movement. He first joined the Student Non-Violent Coordinating Committee (SNCC) in 1968 but soon afterwards became a co-founder of the Illinois Black Panther Party. Rush ran the Panther Party’s Free Breakfast for Children program and also organized a free medical clinic. The clinic developed the nation’s first mass testing program for sickle cell anemia while simultaneously raising awareness of the disease’s impact on African Americans in Chicago. Rush launched his political career with his campaign and election to the U.S. House of Representatives in 1992. He won Illinois’s First Congressional District Seat, the post once held by Oscar DePriest who in 1928 became the first black Congressman elected from a northern district. Rush has won his consecutive reelections and is now serving his eighth term in the U.S. Congress. Congressman Rush is currently chair of the Committee on Energy and Commerce and co-chair of the Congressional Biotech Caucus. He also serves on the Subcommittee on Commerce, Trade, and Consumer Protection and the Subcommittee on Telecommunications and the Internet. 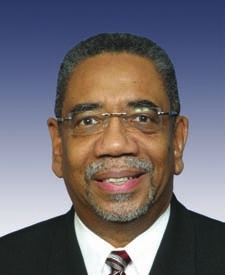 Bobby Rush is the only former member of the Black Panther Party seated in Congress.